The local tour guide will take you to the beautiful Museumsquare where you will find the most important museums of Amsterdam, the Damsquare were you will find the majestic Royal Palace of Amsterdam, the popular Vondelpark, the huge Flower Markets, the historical Rembrandtplein, the oldest district in Amsterdam: the Jordan district and the guide will take you safely along the most beautiful canals. 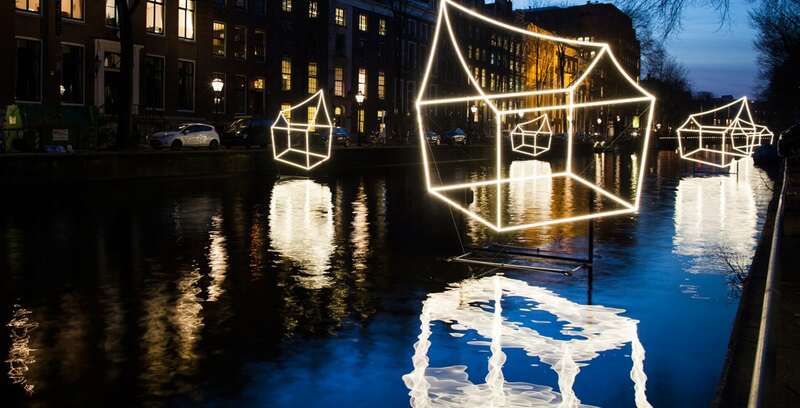 Amsterdam draws its name from the Amstel River that passes through it. 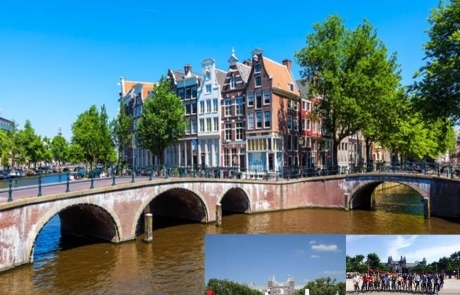 The Amsterdam Windmill Bike Tour takes you along the bank of the Amstel and some of the most iconic images of Amsterdam. Did you know that in just minutes’ time you can find yourself outside the city and surrounded by the beauty of days gone by? 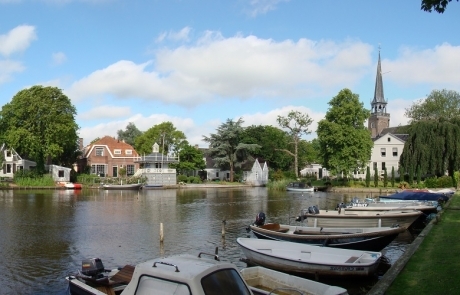 With the Countryside Tour, you’ll cycle via Amsterdam-Noord to Waterland. Enjoy the green fields, the ditches, little white bridges and old churches. 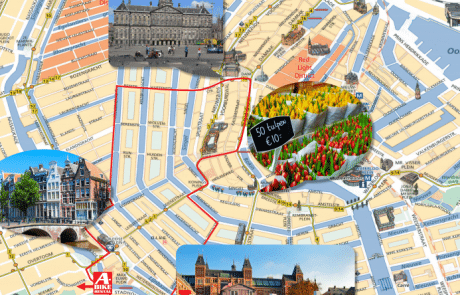 Explore Amsterdam in a fun, safe, and authentically Dutch way? You can do that by booking one of A-Bike’s bike tours! 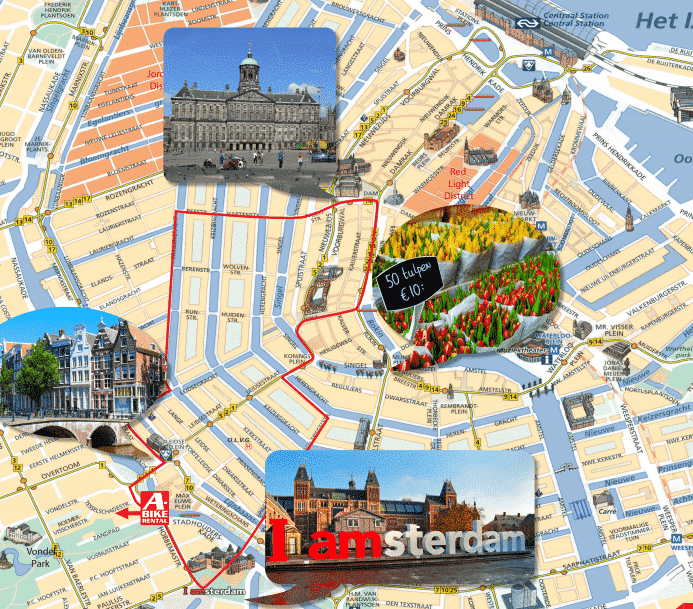 Whether it’s your first time in Amsterdam or you already know the city fairly well, A-Bike has tours for everyone. And whichever route you choose, an expert guide from A-Bike will take you on an adventure to special places in and around the city that you’d never simply stumble upon on your own. …who’s excited to show you beautiful Amsterdam. They know better than anyone how to lead a diverse group of bikers – from young to old and from inexperienced to experienced – through the city in an enjoyable way. A-Bike’s tours are also suitable for cyclists of all levels, and all of our guides speak English. Would you like a tour in another language? Just let us know ahead of time. …of the highest quality. The bikes at A-Bike are continuously maintained and always kept in perfect shape. The height of the handlebars and the seat are adjustable to your height so that you can sit comfortably. The bikes are also extra safe thanks to the reflectors, bike lights and of course a good, loud bell on the handlebar. …Whether it’s your first or your fifth time in Amsterdam, within our wide array of bike tours, you’ll definitely find something right for you. With our tours you’ll see not only the historic city center, but also unique places in other parts of the city. 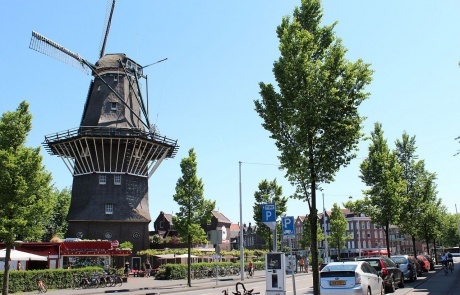 You’ll also have the choice of bike tours focused on a single theme, such as Amsterdam’s old windmills or the city’s Jewish history. Why do all those narrow canal houses in Amsterdam have a hoisting beam on top? How deep are the canals? And how was life in the Red Light District in the 17th century? Just a few questions that might come to mind when you’re biking through Amsterdam. The big advantage of a guided cycling tour is that you can get answers to all these questions. A bicycle tour is informative and entertaining, and since you’re with a guide, you’ll be biking extra safely through the city. This means that during the tour you’ll have all the time you need to look around and enjoy the sights.